Brunel s SS Great Britain is one of the most important historic ships in the world. When she was launched in 1843 she was called the greatest experiment since the Creation . By combining size, power and innovative technology, Brunel created a ship that changed history. His vision for the SS Great Britain made her the great-great-grandmother for all modern ships. Ticket Prices: Adult £14, Child (4 year olds and under) FREE, Child (5 - 17 year olds) £8, Student £11 (valid student identification is required), Senior (aged 60 and over) £13. 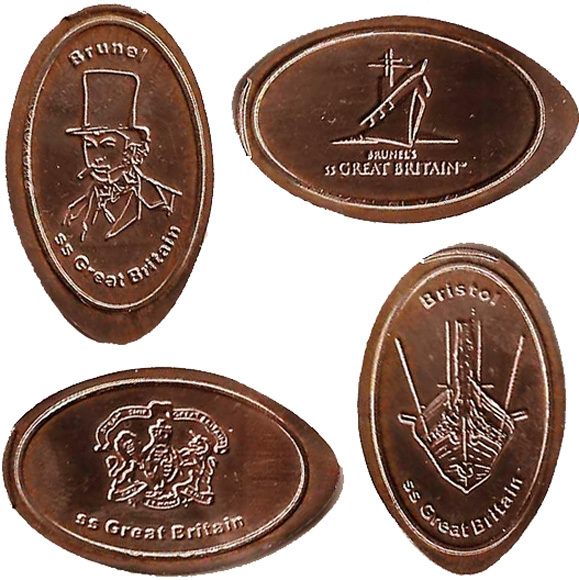 Retired 1: Gold color 1) I. K. Brunel, himself, 2) S.S. Great Britain [Front], 3) Crest, 4) S.S. Great Britain. thegillion added S S Great Britain to system.